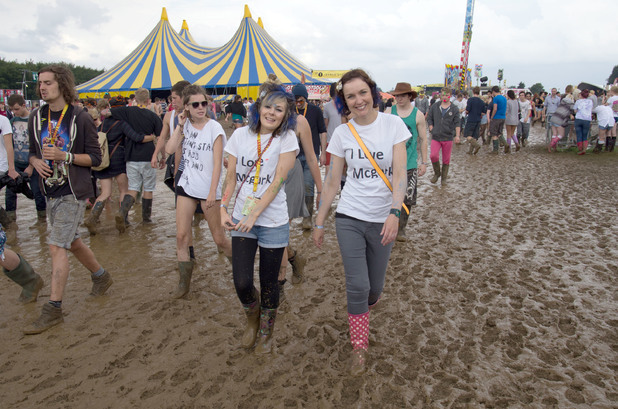 The music lovers among you have undoubtedly heard of the Reading Festival and the Leeds Festival. They’re a pair of music festivals that happen simultaneously in the United Kingdom. They take place at the same time, in the same place, each year. They occur on the Friday, Saturday and Sunday of the August bank holiday weekend in Reading and Leeds respectively. Both events occur at the same time and the Reading festival stands now as the world’s oldest music festival that still occurs annually. The events cover a number of genres and as such you can go for either a full weekend or just one day. Pretty much everyone who goes to the festival stays on the campsite near the grounds. Which really makes taking a car quite an annoyance. It’s clogged with camping gear and then you have to leave it there for a few days if you plan on staying the weekend. Then you have to clog it back up with camping gear on the way back. Not to mention something like a festival is what you go to with a group of friends. A group that will almost definitely be too big for a single car. Both the Reading and Leeds festivals have a lot of history to them, though the Reading one has the most. It was originally begun as a jazz festival in the early sixties before moving permanently to Reading in the early 70s. Since then it’s become a festival that has changed as much as music has and hosted a wide variety of acts and genres. It’s survived slumps and even bans to continue to this day. Nirvana took to the stage in both 1991 and 1992. The 1992 appearance would actually be their last live performance before Kurt Cobain regrettably took his own life. It has gone on in infamy for other reasons, including Cobain coming out on to the stage in a wheelchair and in a medical gown. As with every festival there is, especially one that lasts a few days, travelling to and from the festivals can be a nightmare. Parking can also stretch into a lot of money. You might be able to find onsite parking but you can be sure it’s going to run up quite a bill. With that in mind it’s much easier, convenient, and even cheaper in the long run to hire a minibus service such as ST Minibus Manchester. Our professional drivers will make sure you and all your friends get to the event with all the camping supplies you need. When the festival is over and done with you can count on us to be waiting to take you home too. Our drivers are professional, friendly, and courteous. Don’t let travel complications stop you from having the time of your life at a festival like the Leeds or Reading one, as we can take you to and from either. Book a minibus either through our online form, or giving us a call directly.